Leave old fashioned contractor accounting behind - Simply Contract. Our beautiful software. No spreadsheets. Get in full control, reduce admin and save time. Remember life before your smartphone came along. Although some people would argue that they liked the old ways, things really have improved. You feel connected to people, information that you want is right there at your fingertips, whenever and wherever you want it. Everything just works. Things are actually much simpler and smarter. 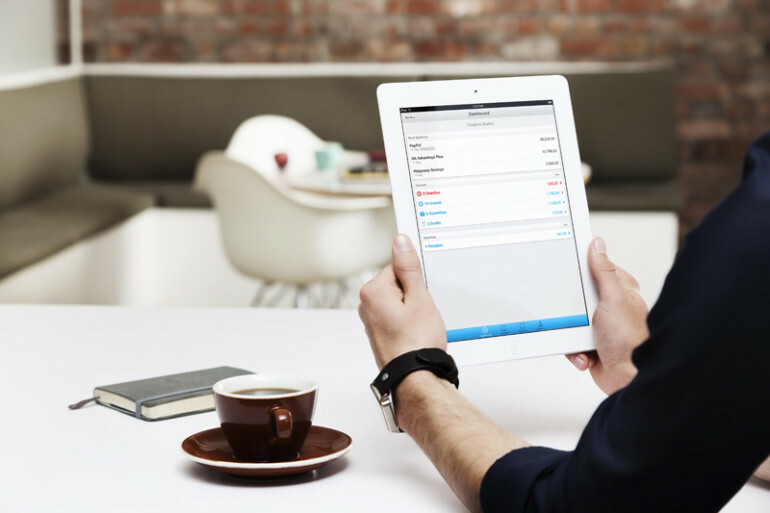 Online cloud based accounting is as new as the smartphone. Over the last few years it really has been revolutionising the way contractors are operating. Gone are the days of lots of paperwork, putting things off until you get around to it, the stresses and concerns that you may not be properly logging all the expenses that you’re entitled to. Gone too are spreadsheets being pulled together and being emailed to your accountant at the end of the year. Now with the latest easy to use software with a beautiful and simple interface things are much simpler and smarter too. You can enter and view information whenever and wherever you like. The software automatically uploads information direct from your bank and you can also upload invoice receipts and expenses incurred on your screen or via a smart mobile phone App. You then simply allocate these transactions to the right customer or expense categories with our support. You and your Simply Contract dedicated accountant can share the same information live meaning that we can advise you all year round and help you save money actively throughout the year. Try our beautiful software. No spreadsheets. Get in full control, reduce admin and save time. We’re committed to making things as simple as possible for our contractors. We want you to be able to contract with minimal effort whilst knowing that you are in expert hands. With our simple to use cloud based accounting software you can log in anytime, anywhere and manage and view your information in real-time. It really is the new way of doing things. Everything is online, secure and smart. We can collaborate with you easily to help look after your best interests. Admin and stresses are minimised and things are under control. This leaves you more time to simply contract…and most of all when you’re not working you’re not getting bogged down with paperwork or hassle but to have more free time to spend on doing the things that are important you. Spending time with family, meeting friends, having fun, enjoying life.